The popular definition of a hardgainer is a person that works out hard with weights but has a hard time putting on muscle. Six weeks of working out can go by and no significant changes in muscle size are noted other than perhaps a bit of an increase in muscle tone. According to this popular definition of a hardgainer, all of us are “hardgainers” because for the most part, putting on muscle is not an easy endeavor. The easiest period to gain muscle is during puberty. After that, gaining muscle becomes progressively harder as we age due to the fact that hormonal production starts declining between the ages of 25 and 30. My definition of a hardgainer is the naturally skinny person, who no matter what he or she eats, always seem to remain the same body weight. This is what Dr. William H. Sheldon referred to as an “ectomorph” somatotype when he came up with the theory sometime in the 1940’s. Sheldon’s theory states that human bodies are divided into three main somatotypes; the ectomorph, the endomorph and the mesomorph. In a nutshell, the ectomorph is the naturally skinny person who has trouble gaining weight, whether in the form of muscle or fat. The endomorph on the other hand has the opposite problem, it is too easy for a person with this body type to gain weight. While endomorphs are easy muscle gainers, provided they diet and train correctly, they are cursed with a slow metabolism, which makes it imperative that they be strict with their diet year round if they wish to have any abdominal definition. The mesomorph, however, is the naturally muscular person, who also has a higher metabolism than the endomorph. Mesomorphs make excellent bodybuilders and for them, gains in muscle and reduction in body fat come rather easily provided they maintain a great training and nutrition program; life is not fair. So You Have Determined That You Are A Hardgainer – Now what?! Now, having said this, is a hardgainer doomed to stay looking the same way forever? Not at all. Basically, all the hardgainer has to do is modify the training and nutrition program to suit his/her unique metabolism. While most people will do best on a diet consisting of 40% carbohydrates, 40% proteins and 20% fats, the hardgainer will benefit most from a diet consisting of 50% carbs, 25 % proteins and 25% good fats. 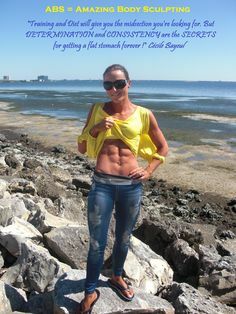 While the typical person will do best on a caloric intake that equals their lean body mass times 12, the hardgainer is better served by taking in as much as 24 calories per pound of total bodyweight (as opposed to lean body mass). Therefore, if you are a hardgainer and weigh 150 lbs, your caloric intake will be 3600 calories (150 x 24). Your total amounts of carbohydrates per day will be in the order of 450 grams of carbs, your protein will be 225 grams and your fats will be 100 grams of good fats per day. You can take all of this in 6, 7 or even 8 meals. The key thing for a hardgainer to be successful is to minimize their caloric expenditures and maximize their caloric intake. 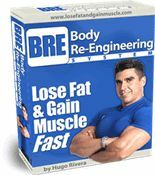 This is necessary as the hardgainer metabolism is a furnace that burns calories at all times and if not enough are supplied at one time or the other, then muscle will be consumed by the body for energy purposes. After all, this metabolic issue is what makes a person a hardgainer. 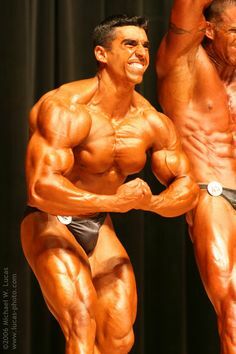 If you are a hardgainer that does not mean it’s the end of the world. 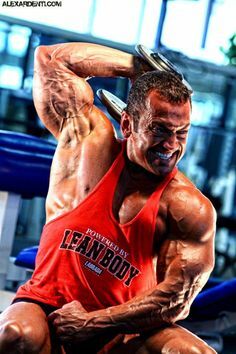 Many determined hardgainers that have achieved their bodybuilding goals (and even won competitions) through a ton of determination and very hard work. 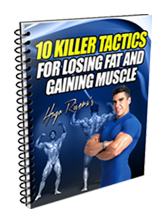 The beauty of hardgainers is the fact that it is very hard for them to gain body fat, so therefore, any muscle gains that they make are highly visible due to the amount of muscle definition that the hardgainer has. If you are a hardgainer, plan your meals ahead of time, pack them in a cooler and ensure that you never run out of food. When in the gym, get in, and get out. At night, get plenty of rest, and if you follow all of this day in and day out, then get ready to grow! There are pro and con arguments about the usefulness of somatotype. The people who ridicule somatotype usually don’t know their actual somatotype. Even those who feel somatotype is important don’t know their somatotype. Somatotype is usually expressed as 3 numbers: 5,2,4; 1,5,5; 4,5,3 etc. These numbers are an important first step to understanding what you have to work with and what would be a reasonable target.